These bags’ main purpose is to absorb the extra moisture and protect your shoes. Bacteria mostly thrive in damp and moist environments so they can help you eliminate the dampness and germs from your gym bag. They can also eliminate the foul odor. Prevent your towels from getting damp and smelling unpleasantly by putting a few of these in the towel cabinet. 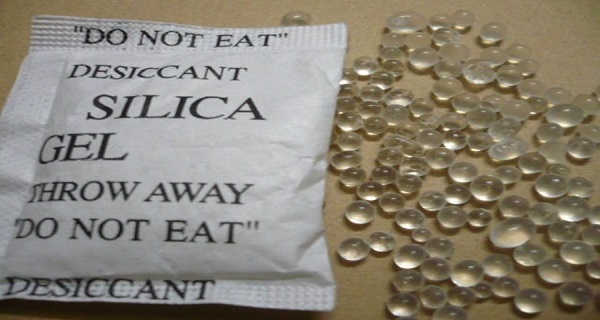 When your phone drops in water and gets all wet instead of putting it in a jar of rice try the same with silica bags. Fill a jar with them and put your mobile in, it will be much more effective. I most definitely adore this one, since foggy car windows cause me a lot of problems especially in this damp weather season. This goes to all you drivers out there; it’s a true lifesaver in the winter. Instead of waiting for the air conditioning to do its job, which in older car models can take forever, put a bunch of these silica gel bags under your windshield from the inside immediately. You’ll see that tomorrow your windows won’t be foggy. It’s the fastest way to stop your windows from fogging up and you’ll save yourself the 10 extra minutes needed to clean them up.